Dr. Algrim opened his practice, Algrim Chiropractic Office in 1983. Every since, he’s aimed to introduce as many people as possible to the wide reaching benefits of chiropractic care that can go far beyond just pain relief and into quality of life improvement. As a chiropractor, I believe that chiropractic care is a benefit to every person to keep your body working at its peak and to help prevent future problems. Dr. Algrim grew up in Edgerton Wisconsin and graduated from Edgerton High School. He then attended UW La Crosse for his undergraduate degree. He received his Doctorate of Chiropractic from Palmer College of Chiropractic in Davenport, Iowa and is certified in multiple techniques including Gonstead, Activator, Diversifies and Flexion/Distraction. At Algrim-Fisher Chiropractic Office, Dr. Algrim combines adjusting with physical therapy and rehabilitating exercise to get patients feeling better and back to their normal activities as quickly as possible. Dr. Algrim decided to come to Racine after seeing Lake Michigan for the first time. He was so impressed by it and thought Racine would be a great place to begin his chiropractic practice. He and his wife Julie have raised their two children in Racine and have enjoyed all the great things Racine has to offer. 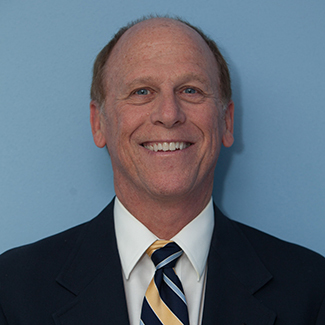 Get to know more about Dr. Algrim when you book your appointment with our practice.